Established in the year 1991, by Mr. H. C. Arora, we, at Process Instrumentation & Controls, are technology driven organization engaged in manufacturing and exporting, a wide range of coding systems. 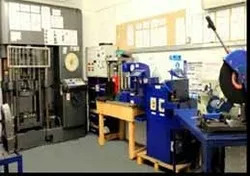 We manufacture & market various types of Coding Systems, Coding Inks, Stamping Coders Machines, batch printing machines, marking systems, hot ink roll, full printing ink roll, full function hot ink roll, pharma roller,Pharma Packaging Machines, Pharma Coding Ink tyre/rubber Pad Printing Machine, Marking Coding inks, marking ink, inking cartridges & consumables for various coding systems. Our systems are widely used to print batch number, date of manufacturing, expiry date, price & other statutory information on various types of packing. Our coding inks are tested & cleared by food research & analysis center, for use in different substrates which are used in pharmaceutical & food packing industry. Over the years, we are regularly supplying our products to various dairy, pharmaceutical & food/beverage companies. 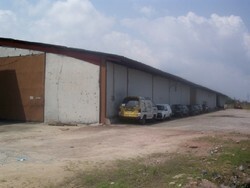 Our production process works under strict quality control so as to maintain best quality of products. 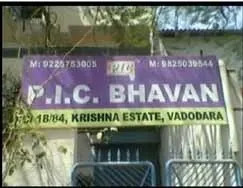 It helped us to build a relation of mutual trust with our clients & has put us on the path of growth & success. We manufacture various coding machines which are versatile and are used in various industry from pharmaceuticals to spices maker. 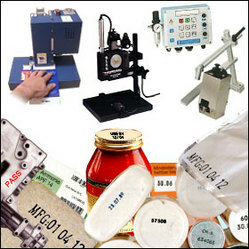 Our main coding products are the tabletop Batch Printing Machines and Label printing Machines. 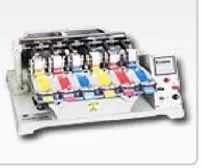 Various types of Batch Printing/Coding Machines are used to print batch No, Mfg. Date etc on Labels, Cartons, Polybag etc. and also useful to print on any type of Materials.Today, we have thousands of these machines running flawlessly across, not only in India, but also in other parts of the world. We offer machines ranging from manual to fully automatic, in other words we offer machines to suit all kinds of need. To summarize our machines are Best Quality at very reasonable price and gives excellent coding impression. The PIC series coders are suitable for Semi - Automatic Coding. The codes are generally mounted on the platform and when the product put on the platform, coding is automatically done on any flat side of the product. It is operated at speed up to 100 impressions/minute. The vision of delivering fine quality products through technical innovation and engineering has enabled P.I.C to supply its products to various industries.